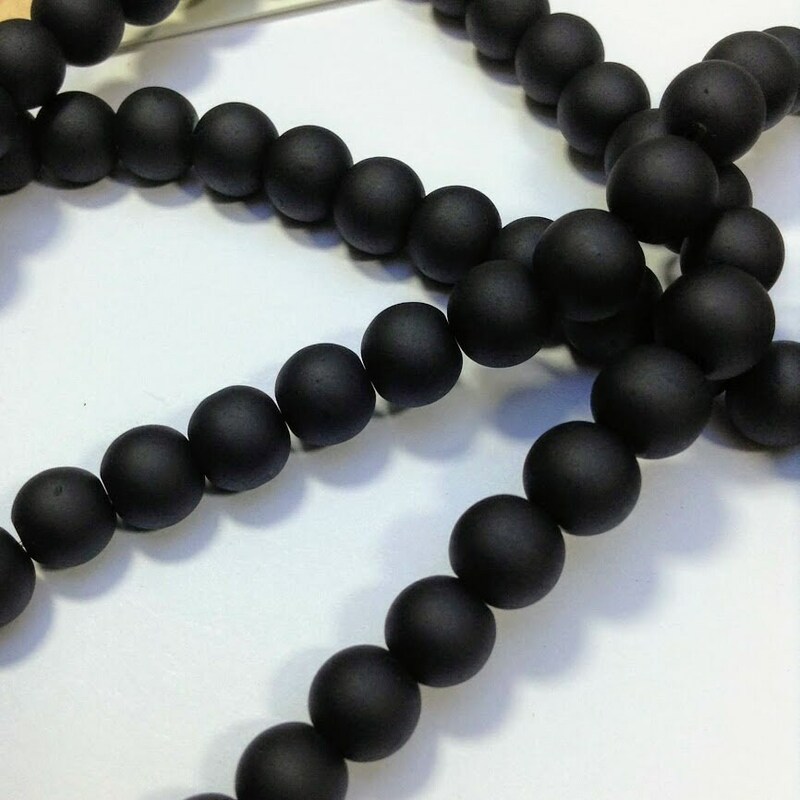 Black frosted glass beads. 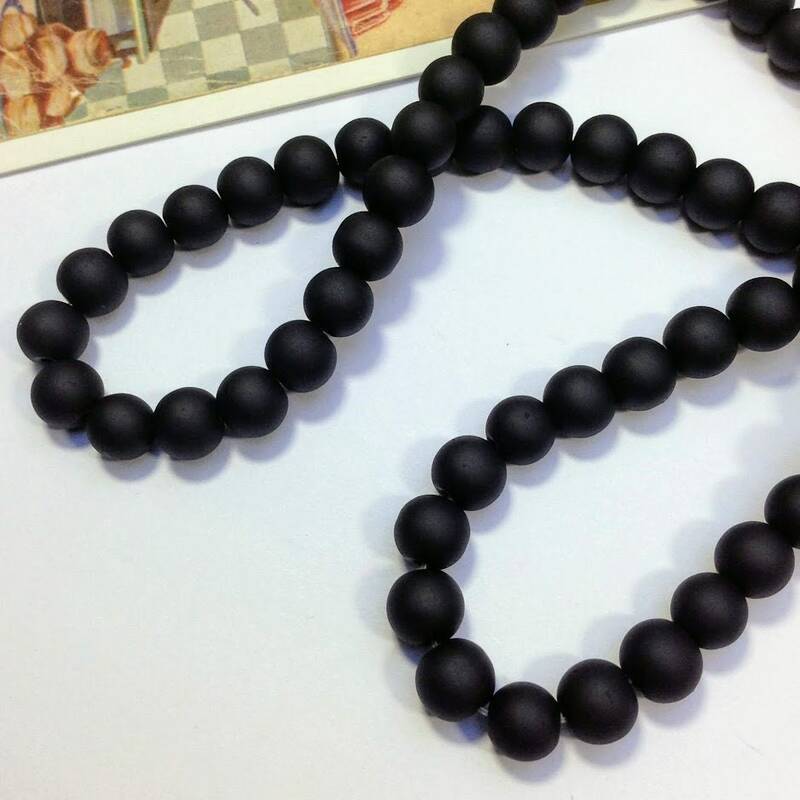 These are in stylish black which works well with yellow, orange and fuchsia pink beads. 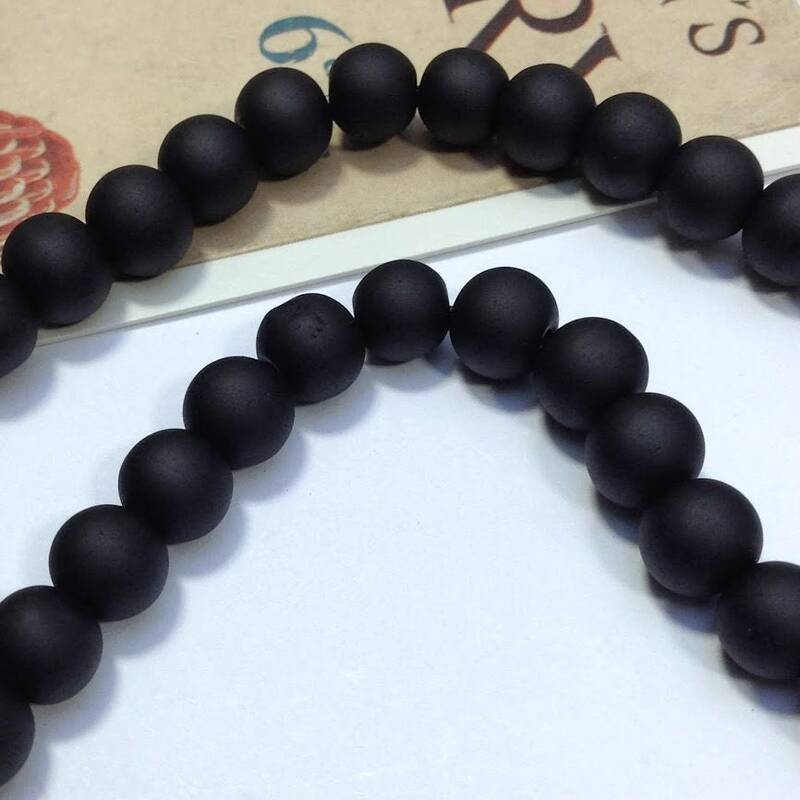 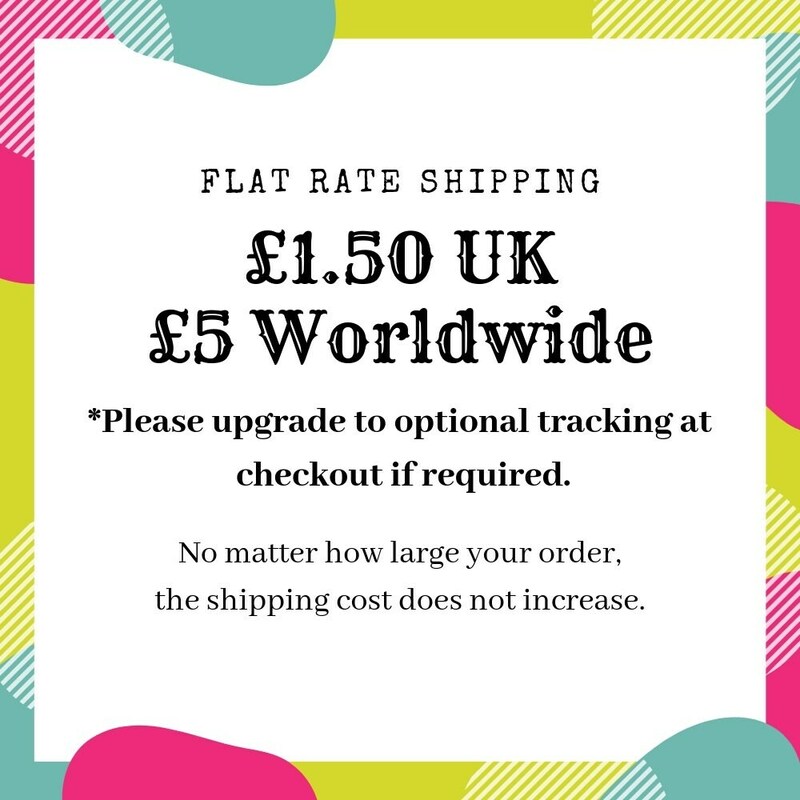 12 beads per lot with discount for 50 beads.